Singapore/ New Delhi: In early January, Jet Airways and its main lender, State Bank of India, met with aircraft lessors to assure them there was a plan to rescue the debt-laden carrier so it could pay them, sources familiar with the matter said. The idea was to shore up confidence in one of India’s biggest brands, squeezed by low fares and high costs. But some lessors quickly lost patience as the bank did not provide details and Jet Airways’ founder angrily defied them to take backplanes. That has led Jet Airways, which blazed trails in one of the world’s fastest-growing air travel markets, to cancel hundreds of flights. Saddled with more than $1.2 billion in debt, and with dwindling revenue, the airline has said it also owes money to banks, pilots and suppliers. It was not immediately clear how much money Jet Airways owes. Jet Airways did not respond to multiple requests for comment but has said it is “actively engaged” with all its lessors. Goyal did not respond to requests for comment. 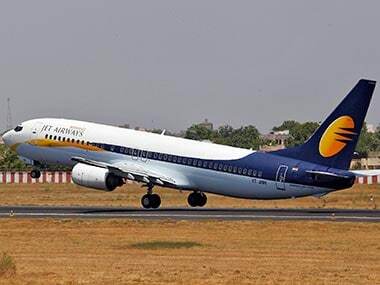 “Aircraft lessors have been supportive of the company’s efforts in this regard,” Jet Airways said in its most recent statement to the Mumbai stock exchange on 2 April. The loss of aircraft and friction with lessors is just the latest major setback for Jet Airways, which has been struggling for years, beset by an insurgent group of low-cost Indian competitors. Purchases of wide-body aircraft 13 years ago and ambitions for the international market may have set Jet Airways on its current course, industry insiders say. Now, with the airline’s running out of ways to make money, state-run banks, led by SBI, took a temporary stake in Jet Airways, promised a new loan of 15 billion rupees ($216 million) and forced 69-year-old Goyal to resign as chairman. On Monday, Jet’s lenders laid out terms for potential bidders to buy up to 75 percent stake in the carrier. Expressions of interest are due on Wednesday, with final bids due on 30 April. 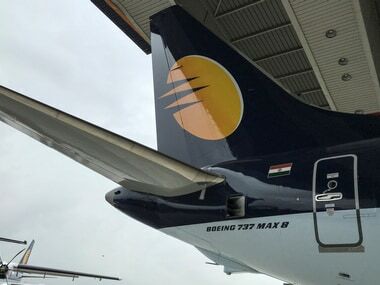 “Despite Goyal’s departure from Jet Airways, lessors don’t seem to think the carrier can be rescued, judging by the urgency in repossessing aircraft,” said Shukor Yusof, the head of aviation consultancy Endau Analytics. “How we do business with Jet Airways in the future will depend a lot on the new investor and how they manage the relationship,” said one of the executives who was at the January meeting. Aercap Holdings, GE Capital Aviation Services, Avolon and BOC Aviation are among the big lessors grounding Jet’s aircraft, leasing and industry sources say. Aercap, Avolon and BOC Aviation declined to comment. GE Capital Aviation Services said Jet Airways was a long-standing customer and it remains in regular contact with the airline. When Goyal and his wife, Anita, started Jet Airways in 1993, state-run Air India was the only formidable opponent, and the country’s aviation market was just taking off. Then Jet Airways bought a struggling Indian airline called Sahara for 14.5 billion rupees ($209 million) in 2007 that had an ageing fleet and did not fit Jet’s corporate culture, the industry executives said. 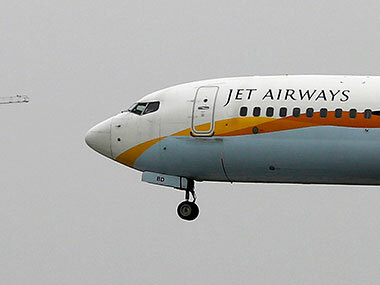 In 2013, Jet Airways was close to running out of cash, but survived collapse when Abu Dhabi’s Etihad Airways bought a 24 percent stake in the Indian airline. As part of the deal, Etihad also bought three pairs of Jet’s landing slots at London’s Heathrow airport and 51 percent stake in its frequent flyer program. To compete with low-cost carriers, Jet Airways has lowered prices without reducing its expensive services. High fuel prices and hefty taxes have compounded the spending issues, industry executives said. Goyal’s penchant for control, which helped him build the airline, has been a stumbling block for potential investors. Tata Sons was in talks with Jet Airways in November for a deal that never materialized, sources have said. 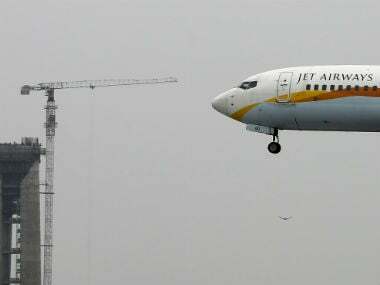 Indian rules cap foreign airline investment in domestic carriers at 49 percent, and the government is eager to see Jet Airways remain with an Indian entity, sources have said. That narrows the list of potential investors, aviation financiers and leasing executives said.